We offer a wide variety of trophies and cup awards that can be treasured for years to come. 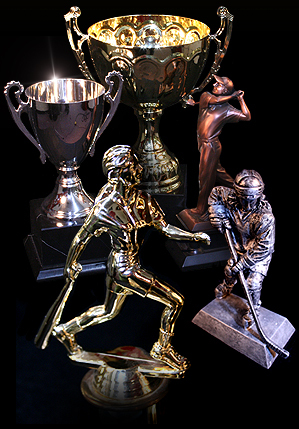 Click here to view some of the many trophy styles available. 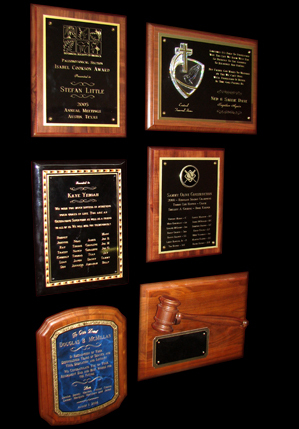 We offer a wide variety of plaques, from mahogany to premium rosewood finish. Consider a laminated plaque for preserving newspaper and magazine articles and diplomas. 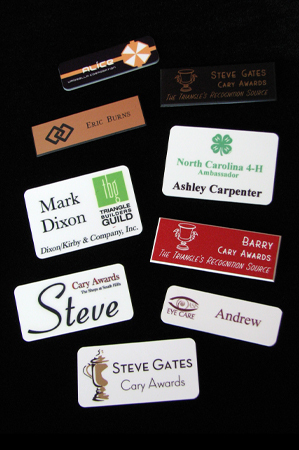 Click here to view some of the many plaque styles available. Cast metal and acid etched plaques available, please inquire for details. There's a wide variety of shapes and sizes to choose from, we can even do custom shapes and graphics to suite your unique needs.